OPEC President and Algerian Oil Minister Chakib Khelil said he expects oil demand to be much lower than a month ago, and added that the group will take any additional action Dec. 17 at its formal meeting in Oran, Algeria. The Organization of Petroleum Exporting Countries decided Saturday to put off any fresh action over whether to further cut its production until it meets again in mid-December, said Head of Libyan National Oil Co., Shokri Ghanem. The Organization of Petroleum Exporting Countries is concerned about swelling oil inventories and fizzling global demand, which have shoved crude prices nearly 60% lower since July. "We note with concern the deteriorating situation," Mr. Khelil said. "Oil demand is expected to be much lower than a month ago." "Ministers have agreed to take any additional decision on Dec. 17 to balance oil supply and demand and to achieve stability," Mr. Khelil said. The OPEC president added, "Ministers agreed an increased scrutiny to monitor the situation in the next two weeks." Referring to the group's Oct. 24 decision to cut its production by 1.5 million barrels a day, Mr. Khelil said: "It's being implemented. Members are fulfilling their commitments." Crude-oil futures erased earlier losses, ending Friday's trading just one cent lower as members of the Organization of the Petroleum Exporting Countries (OPEC) sent mixed signals on whether they will cut production at Saturday's meeting. Crude for December delivery closed at $54.43 a barrel on the New York Mercantile Exchange. It slumped 6% earlier to as low as $51.12. Floor trading closed one hour early in a shortened session after Thanksgiving. In after-hour electronic trading, crude rose 2%. J.P. Morgan Chase, which bought Washington Mutual Inc.'s banking operations, will retain most of the giant thrift's branch-banking staff, but plans substantial job cuts at its former headquarters and elsewhere, Thomson Reuters reported Friday. J.P. Morgan expects to keep about 9,000 employees who worked at WaMu branches, as well as 2,000 employees in the mortgage and wealth-management units, according to the report. J.P. Morgan is expected to tell all former WaMu employees by Monday whether they would have jobs and for how long, Reuters said. Stocks ended higher Friday, leaving the market with monthly losses but posting strong gains in a holiday-shortened week that saw investors increasingly confident that much of a dire economic outlook is already priced in. The Dow Jones Industrial Average gained 102 points, or 1.2%, at 8,829, with 23 of its 30 components ending higher. For the week, the blue-chip average jumped 9.2%, while it fell 5.3% for the month of November. The S&P 500 index rose 8 points, or 1%, to 896. The broad index gained 12% for the week, but fell 7.4% last month. The Nasdaq Composite gained 3 points, or 0.2%, to 1,535. The technology-heavy index jumped 11% for the week and had a monthly loss of 10.8%. General Motors and Ford Motor both saw their shares rally during Friday's holiday-shortened trading session ahead of next week's crucial meetings in Washington that could lay the groundwork for a federal bailout of the ailing auto industry. Automakers have been asked to submit a plan to Congress by Dec. 2 explaining how they would use a $25 billion cash infusion to revive their businesses. Ford stock surged 22.3% to $2.63 and GM rose 9.8% to $5.28 as investors raised bets that Congress would agree to lend the domestic automakers a financial lifeline after initially turning down their request. GM earlier this week also caught buyers' interest on reports that the company is considering shedding its Saturn, Saab and Pontiac brands as part of its effort to cut costs and secure the government loans. Banks and insurance firms boosted London's top share index Thursday, with activity subdued due to the Thanksgiving holiday in the United States. The U.K. FTSE 100 index rose 1.8%. Other European shares also gained ground while Asian markets also advanced Thursday, a day after the Chinese central bank slashed interest rates. Indian markets were closed for the day in the wake of synchronized terrorist attacks overnight in nine or more locations in the financial capital Mumbai. Oil producers were on the rise, with BP shares up 3.4 and Tullow Oil shares up 10.2%. Miners were also strong, with platinum producer Lomin up 4.7% and copper miner Xstrata jumping 12.2%. In the financial sector, shares of Asia-focused bank Standard Chartered rose 11.6% and insurer Prudential gained 8.8%. Tui Travel climbed 2.6% after underlying fiscal-year operating profit at the firm jumped 53% to 398.0 million pounds. Winter trading is progressing well with average selling prices up and fewer holidays left to sell in all key markets, the tour operator added. New York & Co., the New York specialty apparel retailer, said late on Wednesday that it would buy back as many as 3.75 million of its shares in the next 12 months. Additionally it said that its majority holder has indicated that it also intends to buy as many as 3.75 million company shares. The holder said it would instruct the broker executing the purchases to fulfill all the company's purchase orders before it fulfills orders on behalf of the holder, New York & Co. said. At Nov. 26, the company had 60 million shares outstanding. Activist investor and Yahoo Inc. board member Carl Icahn has increased his stake in the Internet company. According to a filing with the Securities and Exchange Commission, Icahn purchased roughly 6.8 million shares in Yahoo between Nov. 24 and Nov. 26, at an average price of $9.88. The acquisition brings Icahn's total stake to 75.6 million shares, according to the filing. Icahn agreed to join Yahoo's board of directors in July, after acquiring over 68 million shares, or a nearly 5% stake in the company and agitating for it to entertain an acquisition offer from Microsoft Corp. Negotiations between Yahoo and Microsoft ultimately petered out, and Microsoft has said it's no longer interested in a merger. The market climbed on Wednesday as investors snapped up tech stocks trading near their cheapest levels in five years, and renewed hopes of a General Motors bailout helped investors. The Nasdaq rose 4.6%, led by Apple and Cisco, which rebounded from Tuesday's big sell-off on concerns about weakening demand. The Dow has risen 15.6% in the last four days, the largest four-day percentage gain since 1932. Wednesday's surge was fueled by energy stocks after oil rose more than 7% and General Motors shares soared over 35%. Overall, automakers rose after Deutsche Bank said the beleaguered companies' prospects for a federal bailout have improved. The U.S government's recent move to prop up Citigroup may have helped investors overlook more economic data that continued to show a weakening economy. The Dow Jones rose 247.14 points (2.91%); The S&P 500 gained 30.29 points (3.53%); The Nasdaq jumped 67.37 points (4.60%). The S&P's four-day advance is its best run since May. A 7.2% surge in the price of oil futures lifted energy shares, making Chevron and Exxon Mobil the biggest contributors to the Dow's advance. Chevron rose 4.4% and Exxon Mobil climbed nearly 4%. Crude oil gained $3.67 to settle at $54.44 a barrel. Dreary economic data included government reports that showed orders for costly manufactured goods such as refrigerators and washing machines, known as durable goods, plummeted in October, while consumers cut spending at the steepest rate in more than seven years. Citigroup jumped nearly 16% on the NYSE after news late on Tuesday that a Mexican brokerage controlled by billionaire Carlos Slim recently bought $150 million worth of shares in the struggling U.S. bank. Shares of Apple climbed 4.6% and Cisco Systems rose 6.3% a day after news of a five-day plant closure led a tech sell-off as it sparked jitters over faltering demand. Volume was fairly healthy on the NYSE, especially on the day before the Thanksgiving holiday, where about 1.42 billion shares changed hands, below last year's estimated daily average of 1.90 billion. On the Nasdaq, about 2.00 billion shares traded, slightly below last year's daily average of 2.17 billion. During the holiday-shortened week, volume typically is lighter than average. We wish all of our clients, readers, and their families a very happy and healthy Thanksgiving. The Federal Reserve threw a massive life-line to consumers on Tuesday with two new programs aimed at making it easier for them to obtain loans for homes, cars and on credit cards. The launch of the two programs lifted investor spirits and drove up the blue chip Dow Jones more than 100 points (about 1.3%) within minutes of its open. The new mortgage-support facility was intended to strike at the collapsed housing market, the core of the United States' economic woes. "This action is being taken to reduce the cost and increase the availability of credit for the purchase of houses, which in turn should support housing markets and foster improved financial conditions more generally," the Fed said. "Continued disruption in the ABS market could further deteriorate credit availability for consumers and increase the prospects for further deterioration in the economy generally," the Treasury said in a statement. The Fed's twin announcements marked the latest in a series of emergency measures by U.S. authorities to try to keep the economy from falling into a deep and prolonged recession. Late Sunday, the government stepped in to prop up the second largest U.S. bank Citigroup. 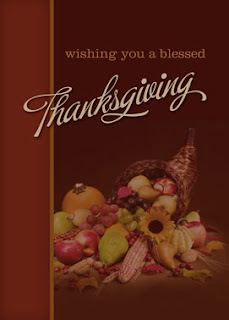 Due to the Thanksgiving holiday, Rollins Financial Counseling, Inc. and Rollins & Associates, P.C. will be closed on Thursday, November 27 and Friday, November 28. The office will reopen on Monday, December 1 at 8:30 a.m.
Stocks soared on Monday, capping the best two-day run since the aftermath of the 1987 stock market crash, as the government's decision to rescue Citigroup spurred an enormous relief rally. Dow component Citigroup, the second-largest U.S. bank, surged nearly 60% to $5.95 and gave one of the biggest lifts to the Dow as the bailout plan eased jittery investors' concerns regarding the financial sector. Last week, Citigroup's stock tumbled to its lowest level in about 15 years amid uncertainty over the bank's future. "The markets love a bailout," said Brian Gendreau, investment strategist at ING Investment in New York. "It seems to have instilled a bit of confidence in the sector itself." Adding to the optimism, President-elect Barack Obama named his team of economic advisors -- viewed as being favorable for Wall Street. Obama appointed New York Fed President Timothy Geithner as Treasury secretary and Lawrence Summers, who was previously Treasury secretary under President Clinton, as director of the National Economic Council. The Dow Jones industrial average raced up 396.97 points (4.93%). The S&P 500 jumped 51.78 points (6.47%). The Nasdaq leaped 87.67 points (6.33%). The Dow has advanced 11.8%, while the S&P gained 13.2% in their best two-day rally since the days following the October 1987 stock market crash. The government's cash infusion for Citi represented the biggest U.S. bank bailout to date, lifting major financial stocks. JPMorgan Chase rose 21.4%, while Bank of America surged 27.2%. The S&P financial index climbed 18.8% in its best one-day percentage gain ever. Wall Street briefly pared gains after President-elect Barack Obama named his economic team, as expected, but did not offer any specific dollar figures or other new details on a stimulus plan. Shares of iPod maker Apple advanced nearly 13% to $92.95 and gave the biggest boost to the Nasdaq 100. Microsoft shot up 5.1% to $20.69. Campbell Soup, considered a recession-proof play, however, surprised investors with a disappointing full-year profit outlook, citing a stronger U.S. dollar. Campbell Soup's stock slid 7.6% on the NYSE. Xerox shot up 17.9% to $6.19 after the world's top supplier of digital printer and document management services forecast 2009 profits generally in line with analysts' expectations due to repeat customers and recent cost-cutting measures. Citigroup's rescue followed the disappearance this year of major Wall Street firms Bear Stearns and Lehman Brothers, as well as the failure of Washington Mutual, the largest U.S. savings and loan. In addition to the new capital, Washington effectively guaranteed most of Citi's $306 billion in losses on high-risk assets. A Dow Jones index of U.S. home builders' stocks shot up 16.6% in late Monday afternoon trading. Volume was active on the NYSE, where about 2.04 billion shares changed hands, above last year's estimated daily average of 1.90 billion. On the Nasdaq, about 2.56 billion shares traded, above last year's daily average of 2.17 billion. Advancers outnumbered decliners by a ratio of almost 8 to 1 on the NYSE, while on the Nasdaq, about three stocks rose for every one that fell. The U.S. government has bailed out Citigroup by agreeing to shoulder most of the potential losses on $306 billion of high-risk assets and inject $20 billion of new capital in its biggest move yet to rescue a bank. Shares of Citi surged 55% to $5.83 in electronic trading before the opening bell in New York. The price of insuring $10 million of Citi bonds through credit-default swaps fell by about half to $257,000 per year. "Clearly, this will stabilize the (banks) group near term, and the stocks this morning should reflect it," Oppenheimer & Co analyst Meredith Whitney said. The government's $20 billion of new capital comes on top of $25 billion it had put into the bank, and it will receive preferred shares with an 8% dividend in return. Citigroup received the latest infusion after its shares plunged 60% last week to $3.77, amid worry it lacked enough capital to survive. The bank estimated $40 billion of capital benefits, partially from the government guarantee. In return for the bailout, Citigroup's dividend will be effectively wiped out. The bank cannot pay out more than 1 cent per share per quarter over the next three years without government consent. The quarterly dividend is now 16 cents. Citigroup has the farthest international reach of any U.S. bank, with operations in more than 100 countries. The bank was widely perceived to be too big to be allowed to fail, because any collapse could cause financial havoc around the globe. The New York-based bank will try to modify troubled mortgages in the $306 billion portfolio as the government tries to keep homeowners out of foreclosure. Chief Executive Vikram Pandit and other top management will keep their jobs, but the government will have the final say on executive pay. More details on compensation may come next week, government officials said. The rescue further magnifies the U.S. government's burden, following bailouts of AIG, Bear Stearns, Fannie Mae and Freddie Mac, and the injection of hundreds of billions of dollars into banks and other financial institutions. Well over $1 trillion of taxpayer money is at risk, and the Big Three automakers in Detroit are seeking billions more to avert bankruptcy. The administration of President-elect Barack Obama may also propose a $500 billion to $700 billion economic stimulus. Citigroup agreed to absorb the first $29 billion of losses on the $306 billion portfolio, plus 10% of additional losses, for a maximum total exposure of $56.7 billion. The Treasury Department could end up absorbing $5 billion of losses, the Federal Deposit Insurance Corp $10 billion, and the Federal Reserve the rest. The Treasury Department will get $24 billion of preferred shares and the FDIC $3 billion. Of the combined amount, $7 billion constitutes a fee for the government guarantees. The government will also receive warrants to buy $2.7 billion of common stock, comprising about 254 million shares at $10.61 each. Citigroup estimated the injection will give it a Tier-1 capital ratio of 14.8 percent, more than twice what the government requires. The bank said it will also get increased access to the Fed's discount window, adding liquidity. The government announced the package less than a week after Pandit set plans to reduce Citigroup's workforce to 300,000 by early next year from 375,000 at the end of 2007. Earlier this month, U.S. Treasury Secretary Henry Paulson said the $700 billion industry rescue package would instead be used as a means to provide direct capital injections to banks. That decision hit Citigroup hard, and the bank's problems were compounded by the tens of billions of dollars of assets that it decided to buy back or move onto its balance sheet. Citigroup's market value on Friday was just $20.5 billion, down from more than $270 billion two years ago -- and even below the $25 billion initial capital injection. Everyone probably realizes that one of the major factors leading to the real estate boom and subsequent bubble was low interest rates – they were too low for too long. In the aftermath of September 11th, interest rates fell to extremely low levels and were kept there for almost three years by the Federal Reserve System. Over the past several years, many homes were being sold in this country with variable interest rates. Even though interest rates were too low, they were just not low enough to satisfy the housing appetite by people who could not afford them. The general presumption was that in a few years, the house would appreciate in value and when the adjustable rate was due to change, the buyer could refinance to a fixed rate. I vividly remember seeing adjustable mortgages in the 3% interest range jump up to market rates after the three-year expiration. Of course, this is not the only reason for the real estate bubble, but it was certainly a major contributing factor. Today, we have low interest rates again. It is hard to imagine that we basically have interest rates today that are equal to or lower than the interest rates that were available to the general public after September 11th. These low interest rates provide a window of opportunity to turn a good portion of the unsold residential real estate inventory and make housing affordable to many while also helping to put a lot of Americans back to work. In this particular scenario, these mortgage interest rates would not only apply to short-term variable rates, but also to standard 30-year fixed mortgages. On Thursday, due to the fear gripping Wall Street, a 30-year Treasury bond ended the day with a yield of 3.48%. This is the lowest rate on a 30-year Treasury bond in over 50 years. It also was the largest yield drop for the long-term bond since the day after the 1987 stock market crash. Since the market dropped more in November of this year than it did in October 1987, I believe this drop was an appropriate response. The government could facilitate a real estate recovery by entering the open market and selling $100 billion in 30-year Treasury bonds at 3.48%. Since there is such a gigantic demand for these bonds at the current time, I feel there would be no problem at all in issuing these bonds to willing buyers. After the government gets the $100 billion from selling 30-year Treasury bonds, they could turn it over to their wholly-owned subsidiaries, Fannie Mae and Freddie Mac. At that point, these quasi-governmental agencies could start extending mortgages at 4% to all qualified buyers. At an average mortgage of $200,000, that would be 500,000 new mortgages for Americans. A standard 30-year fixed mortgage at 4% will create an immediate housing demand across the United States. Additionally, the agencies could use some of the $100 billion to refinance a great many of the home mortgages that are currently in foreclosure. If in the next six months the government issued $100 billion in new mortgages, we could see a stabilization of the real estate market by the middle of 2009. The combination of low interest rates and low payments will offer many Americans an excellent housing opportunity. Coupling low interest rates with the decline in values that the homes have suffered over the last two years will provide for a buying frenzy unparalleled in American real estate history. I do not pretend to know more on the subject of real estate than the average person, but I do understand that if the government can issue Treasury bonds at 3.48% and lenders can collect the mortgages at 4%, this would be a win-win for the government, the agencies, the homeowners and ultimately for America. A government program that actually makes money? What a novel concept! Did We All Wake Up and Find Ourselves Stupid in July? There’s no way to sugarcoat the stock market’s poor performance during October and November. As I write this post, all three of the major market indices are down roughly 50% year-to-date. The Dow Industrial Average, the S&P Index of 500 Stocks and the NASDAQ Composite all have virtually the same returns year-to-date – all are down around 50%. Indisputably, that fact is hard to swallow. This has been the worst year for stock market investing since 1937. I’m not exactly sure anyone can properly explain what is going on in the stock market right now, but I certainly don’t think it has anything to do with economics. One of my clients pointed out in frustration with me that we are living in a different world now, but I take exception to that statement. I truly don’t feel that the fundamentals of economics and the valuation of stocks are any different today than they have been throughout history, which I hope to illustrate below. Around July 1st of this year, something drastic happened. The markets were undoubtedly bad for the first six months of 2008, but since then, the losses have gone to incomprehensible level. As of this writing, 99% of all publicly traded mutual funds have suffered losses for 2008. The very best fund managers in the world have accumulated losses of 50% or more in 2008. Bond funds and conservatively-balanced funds also have losses approaching 30%. The destruction of wealth over such a relatively short period of time has been nothing short of mind-boggling. In spite of the market’s terrible performance, I just don’t believe that we all woke up in July to find ourselves completely unable to understand the basic fundamentals of stock market valuation. Perhaps some people are generalizing the facts instead of reading detailed information for a complete and proper analysis of the current situation. This makes me wonder if the traditional approach to market analysis has become unfashionable. Current analysis tools tend to deal strictly with market momentum – up is up and down is down, and never shall the two meet. As I often hear exclaimed on the daily financial news, the “buy and hold” philosophy is dead. I don’t concur with that exclamation, and I have some evidence to indicate how the market has so mispriced securities that there is incredibly high hope for our investments. It’s apparently become chic to criticize the world’s most well-known investor, as evidenced by a lot of posts I read by other financial bloggers. Lately, Warren Buffett has become the favorite whipping boy, in spite of him taking Berkshire Hathaway, a little-known shirt manufacturer, from nothing to a current market capitalization of $120 billion. In fact, Berkshire Hathaway, as early as one year ago, was valued at one-quarter of a trillion dollars. There aren’t many investors who can proclaim to be as successful as Warren Buffett, but according to some bloggers, he woke up stupid at some point in 2008. In October of 2008, Warren Buffett invested $3 billion in one of the world’s largest conglomerates, General Electric. In addition, he was given warrants to purchase GE’s common stock into the future at a price of $22 per share. Based on today’s valuation, that agreement appears to have been a mistake. However, I wouldn’t discount Warren Buffett’s prowess too quickly. At the same time Warren Buffett invested in General Electric, he also invested in Goldman Sachs. Both of the stocks are suspect at the current time, but based on fundamental analysis, they continue to be brilliant purchases. General Electric isn’t your typical corner store investment, and over the last three years, it has made the following in net profits: 2007 - $22 billion; 2006 - $20 billion, and; 2005 - $16 billion. General Electric has had gross sales in the same years as follows: 2007 - $172 billion; 2006 - $163 billion, and; 2005 - $150 billion. This is one of the most successful companies, not only in the world today, but also in the history of American finance. However, it’s priced almost like a penny stock today. At Thursday’s close, General Electric stock was valued on the market at $12.84 per share. General Electric has now confirmed that their Board of Directors has approved their dividends at $1.24 per share annually, through the end of 2009. Therefore, if you invested in their common stock at $12.84 and you received the $1.24 dividends per year, you would have a return on your investments in dividends alone of 9.66%. That’s a fairly stunning return on one of the top capital titans in American history. Based on Thursday’s market price, the entire enterprise value of General Electric was $127 billion. During 2007, General Electric generated cash flow from operations of $46 billion. Therefore, on a cash flow valuation basis, General Electric could be purchased in its entirety from its cash flow in only 2.8 years. Valuations currently defy any level of imagination. As of the General Electric’s third quarter, they have a book value – meaning the sum of their total assets less their liabilities – of $11.28 per share. Since that time, they have raised in the open market and through Warren Buffett an additional $15 billion in capital. Therefore, even if the company made no profits in the fourth quarter of 2008, they would have a book value of close to $14 per share. In summary, you can basically purchase one of the greatest manufacturing conglomerates of all-time for less than book value and earn a return of close to 10% assuming the stock never actually goes up. I would argue that Warren Buffett’s purchase price is more closely correct than the market at this point. This is even more compelling when you take current interest rates into account. Yesterday the one-month Treasury bond was yielding 0.1% annually. I am not saying 1%, I am saying one-tenth of 1%. Interestingly, a three-month Treasury on Thursday was yielding 0.2% annually, which means that you could purchase a Treasury bond for no return only to guarantee that you would get your money back. The yield payable on the two-year U.S. Treasury bond, which reflects trends in interest rates, is below 1% for the first time ever. The yield on 30-year Treasuries, led by expectations of inflation, is below 4%, at an all-time low. Even more stunning is the long-term interest rate on Treasury bonds. Today, a 10-year Treasury bond was yielding 3.03% annualized. This is the lowest rate recorded on Treasury bonds in over 50 years. Basically, if given the choice, you could buy Treasury bonds yielding 3.03% or General Electric stock generating close to 10%. Of course, in the case of Treasury bonds, they would not increase in value and General Electric just might. To further inspire you to invest, the U.S. Treasury’s low yield would be taxed to you at a stunning 35%, while the 10% return from General Electric would be taxed at a preferential rate of 15%. For these reasons, I argue that we have not entered a new investing world. Rather, our current investing world is misguided. At about the same time as Warren Buffett’s General Electric investment, he also invested $5 billion in Goldman Sachs Group, Inc. Once again, this is not a run-of-the-mill company – it’s a worldwide respected investment house. Goldman Sachs is considered by all to employ the best and the brightest business managers in America. Its net income over the last three years are as follows: 2007 - $11 billion; 2006 - $9 billion, and; 2005 - $5.6 billion. Its sales in those same years are as follows: 2007 - $88 billion; 2006 - $69 billion, and; 2005 - $43 billion. Not exactly a mom and pop shop, right? Along with Warren Buffett’s $5 billion investment in Goldman Sachs, he received warrants to purchase Goldman Sachs’ common stock at $115 per share. As of Thursday’s close of business, the stock was trading at $52 per share, or a stunning 65% less than the price that Warren Buffett agreed to purchase it at only two months ago. I know it seems like the fourth quarter of 2008 has gone on for decades, but on October 1st, the greatest investor of our lifetime agreed to buy the stock at $115 per share and less than two months later, it is selling on the open market at $52 per share. Did Warren Buffett wake up in July and become stupid? I don’t think so! As of Friday, Goldman Sachs has a book value of $130 per share. Assuming that the company just broke even in the fourth quarter of 2008, the stock is now trading at only 40% of the value of Goldman Sachs’ assets less its liabilities. I am still not a believer that fundamental stock market valuation is this far removed from reality. Let me give you an example of why Warren Buffett hasn’t lost his touch: He has the patience and understanding to know that in the end, stock market fundamentals are more important than short-term fear or momentum. In 1973, Warren Buffett bought shares in the newspaper, The Washington Post. Shortly after his purchase, the stock plummeted 20% and stayed there for not just a few months, but for three years. It was a full three years later, in 1976, before Buffett’s investment had finally made it back to break-even. In fact, Warren Buffett later reported that it took until 1981 before it got to a value that he thought it was worth when he first purchased it. Warren Buffett is the ultimate example of “buy and hold.” He has said on numerous occasions that he does not purchase for a few months, but rather, for a lifetime. How successful has he become? Today, he is the richest man in the U.S., recently surpassing his good friend Bill Gates’ wealth. It’s also interesting to understand how his Washington Post investment turned out. At the end of 2007, Warren Buffett’s investment was worth a cool $1.4 billion. Given that he had purchased it for only $11 million in 1973, the stock had increased 127 times the purchase price in the 34 intervening years. All of us could stand to be as stupid as Warren Buffett. For a man of modest means, he has become an incredible success due to his long-term investing philosophy, which has made him the richest man in America. I don’t think the definition of “stupid” applies to Warren Buffett. I certainly do not want to diminish the losses that we have all incurred; they have been major and excruciating. There’s no way for me argue that I was right and the market was wrong when losses incurred are approximately 50% on all the major indices for 2008. Even though I do believe the market was wrong, I still understand that the losses incurred have been devastating. My intention is only to explain stock market valuation, and that the fear factor encompassing the market today has nothing to do with fundamentals. I have written extensively on the subject of the Federal Reserve’s method for valuing the stock market. This valuation method creates a relationship between anticipated earnings and the yield on the 10-year Treasury. I recently received my Standard & Poor’s valuation of 2009 earnings, dated November 19, 2008. Their anticipated earnings for 2009 on the S&P 500 is $91.85. The expected P/E ratio is a little over nine. The historic multiple for the S&P 500 is approximately 16. By any standards, these rates are incredibly cheap. If you divide the estimated earnings for 2009 by the aforementioned return on the 10-year Treasury ($91.85/0.303), you get an implied valuation of the S&P 500 of 3,031. As of Thursday’s close of business, the S&P 500 has a valuation of 752. Therefore, to reach fair value, the market would have to go up 300%. I recognize that 2009 earnings are probably too high and the 10-year Treasury rate is probably too low, and assuming that both of those are wrong by a factor of 50%, then fair value on the S&P 500 would be approximately 1,500, or a 100% return from where we are today. Admittedly, I have never seen market valuations as cheap as they are presently. In fact, I haven’t even read any historic valuations that approach this level of undervaluation. Stocks were definitely cheap during the Great Depression, but at that time, there were no earnings. While some corporations have high profile lack of earnings in 2008, anticipated earnings for 2009 are expected to be at record levels. Even more stunning than these numbers is how ridiculous valuations have become. Currently, the indicated dividend payout on the S&P 500 is $27.47. Based on Thursday’s close, the dividend yield on the 500 stocks making up the index would be 3.65%. In summary, that means you could purchase the entire index of 500 stocks and have an implied dividend yield greater than a 10-year Treasury and double what money market accounts are paying in interest. This is the first time in over 50 years that the dividend rate exceeded the 10-year bond. I assure you that there have never been valuations that give you this type of future profit opportunity. As of Thursday, over 100 individual stocks making up the S&P Index of 500 Stocks were selling below $10 per share. These are the 500 largest and most successful corporations in the greatest economy in the world, yet the stocks are selling in the single digits. My intention in this post is not to explain the Wall Street carnage – there is no explanation for fear. Stock market investing as a profession for 2008 has been thrown out the window. As I have said before, current valuations have nothing to do with fundamental analysis, only fear. I am not trying to make light of the losses that have occurred; I only want to make sure that you are aware of the opportunity going forward. Now is not the time to get out of the market, it is the time to get in. At some point, valuations will overwhelm fear and the potential for gains will be absolutely spectacular in magnitude. I am often asked how I can be so optimistic in times like these. Believe me, I’m not blind to the problems in the market, but I also understand its potential. If someone offered me the opportunity to go to Las Vegas and gave me the same odds as we have today in the stock market, I would take them. With a risk of going 10% down or 100% up based on current valuations, would you take it? I would in a heartbeat. That’s where we stand today, with enormous potential in front of us once fear has finally lessened. I did not wake up to find I had become stupid in July – just poorer. Citigroup Inc. is considering auctioning off parts of the firm or selling the company outright, according to a media report late Thursday. The online edition of The Wall Street Journal, citing unnamed sources, reported that Citigroup executives are in preliminary stages of discussing a possible sale. The report said that the company's management is still insisting that it has ample capital and a sound strategic direction. H. J. Heinz Co. said Friday its third-quarter profit totaled $277 million, or 87 cents a share, from $227 million, or 71 cents a share, in the same quarter a year before. Analysts had expected adjusted earnings on average of 74 cents a share, according to a FactSet Research survey. Revenue for the quarter was $2.61 billion compared to $2.52 billion in the year-ago period. The food giant also reaffirmed its forecast for full-year organic sales growth of at least 6% and profit in the target range of $2.87 to $2.91 a share for the current 2009 fiscal year, which ends April 29. U.S. Treasuries declined early Friday, pushing yields up from yesterday's multi-year lows, as U.S. equity futures pointed higher on hopes that Citigroup may sell itself. Ten-year note yields rose 13 basis points to 3.14%. Richmond Federal Reserve President Jeffrey Lacker, Philadelphia Fed President Charles Plosser and Chicago Fed President Charles Evans are scheduled to speak throughout the day. Average U.S. retail gasoline prices fell below $2.00 a gallon for the first time since March 9, 2004, according to the AAA Daily Fuel Gauge Report. Prices edged down two cents to $1.99 a gallon on Friday. Gasoline sold for $2.86 a gallon one month ago and $3.09 a year ago. Locally, Atlanta gasoline prices were reported to be as low as $1.64 a gallon. Every penny of lower fuel costs adds $1 billion into the economy for other uses. With gasoline falling from $4 a gallon to $2 a gallon, there has been a "stimulus" of $200 billion to the U.S. economy. Friday is a stock option expiration day, so there is usually some trading early and late with the middle of the day being quite flat. Additionally, with the positive market open, the energy stocks moved up on the price of oil going back to $50 a barrel. On Saturday and again on Sunday, there will be a blog posted by Joe Rollins, so he can give his perspective on the current market. With Thanksgiving being next week, the office of Rollins & Associates, P.C. and Rollins Financial Counseling, Inc. will be closed on Thursday and Friday. The stock and bond markets will be closed on Thursday with a short "holiday" trading day for each on Friday. Saudi billionaire Prince Alwaleed bin Talal plans to increase his stake in Citigroup to 5% after the bank, once the biggest in the U.S., lost almost a quarter of its value yesterday. Alwaleed, who owns less than 4% of the New York-based company, said in a statement he's buying shares because he "strongly believes that they are dramatically undervalued." Citigroup, buffeted by four straight quarterly losses, has raised about $75 billion since December by selling assets and equity stakes, including a $25 billion injection from the U.S. Treasury. Alwaleed would have to spend about $350 million to boost his stake to 5% from 4%, based on yesterday's closing price. Those steps will help make Citigroup "a long-term winner in the financial-services industry, Alwaleed, 53, said. He said he "expresses his full and complete support to Citi management, led by CEO Vikram Pandit, and believes they are taking all the necessary steps to position the company to withstand the challenges facing the banking industry and the global economy." Alwaleed was lauded by Time magazine as the Middle East's answer to U.S. billionaire investor Warren Buffett after a 1991 investment in Citigroup's predecessor helped make him one of the world's five richest people. In a 2005 interview with Charlie Rose of the U.S. Public Broadcasting Service, Alwaleed outlined his criteria for buying stocks. "The return on investment in the coming five to 10 years has to be within our acceptable conditions," he said. That means "at least 20 to 25 percent" annual returns. General Electric said on Thursday it has no intention of raising additional capital from sovereign-wealth funds. The company is in talks with Asian investors about joint ventures similar to one formed earlier this year with Abu Dhabi investment agency Mubadala Development Co, said GE spokesman Russell Wilkerson. "With the success of our existing global partnerships, we are always talking to a variety of funds and third parties about new opportunities," Wilkerson said in an email. "We are not talking with any sovereign wealth funds or other global investment funds about a capital investment in the company." An earlier report in the Financial Times Deutschland newspaper said the company was in talks with Singapore's Temasek and GIC, as well as China's CIC and Safe, about capital investment in GE and joint ventures. GE and Mubadala in July formed an $8 billion joint venture to provide commercial finance in the Middle East and Africa. GE is not looking to raise additional capital as it did with a $15 billion stock sale in October that included $3 billion of preferred shares sold to billionaire Warren Buffett's Berkshire Hathaway. The Fairfield, Connecticut-based company, which has businesses ranging from jet engines to real estate to the NBC Universal media business, last week received the backing of the U.S. Federal Deposit Insurance Corp for up to $139 billion of GE Capital debt, and has also signed on to a U.S. program to buy commercial paper. Chief executives of leading U.S. companies called for a fiscal stimulus package worth at least $300 billion and urged president-elect Barack Obama to swiftly name his economic team. Dozens of chief executives met at The Wall Street Journal CEO Council event in Washington D.C. to identify what they think should be priorities for the Obama administration and the new Congress. Wachovia's Robert Steel and pension fund TIAA-CREF CEO Roger Ferguson were among those calling for a fiscal stimulus package to encourage consumer spending in the short term. Overall, chief executives agreed that the U.S. economy could not recover independent of the rest of the world, and they urged the international community to coordinate stimulus plans. However, a broad economic stimulus bill, which Obama wants Congress to pass promptly, is opposed by many Republican lawmakers and is unlikely to be approved by the current Congress during its short legislative session this week. Obama's chief of staff, Rep. Rahm Emanuel of Illinois, later told the conference that key components of a stimulus package would include tax cuts and what he called investments in "green" infrastructure. "The economy needs it, the American people need it," Emanuel said. CEOs lamented lack of young talent in science, technology and math, and called for a partnership with the private sector to promote a more competitive workforce. Improving education was the group of executives' second-highest priority after a global economic stimulus plan. New York Sen. Charles Schumer told the executives, "I see lots of businesses, and they come in and lobby on everything and rare is the business that comes in and lobbies on education." "These are assets that need to get moving," said Wachovia CEO Steel, who until early July was under secretary for domestic finance and a close advisor to Treasury Secretary Henry Paulson. But buying the troubled assets was the lowest on a wish list of 18 priorities voted on by the larger group of chief executives present at the conference. The finance subgroup, that included Steel and Time Warner's Jeffrey Bewkes, also called for creation of a panel to consider changes to financial regulations. Sen. Maria Cantwell, a Democrat from Washington state, urged the CEOs to be more specific on all fronts. In terms of financial regulation, Cantwell said she only had three words: "Transparency, transparency, transparency. If you don't work hard on transparency, you will get another Sarbanes-Oxley (corporate reform law)," she told the conference. A sub-group of CEOs voted to support "comprehensive reform" of the U.S. healthcare system. About 47 million Americans lack health insurance, and the group backed universal access to affordable care, with a requirement that individuals buy their own health insurance, known as an "individual mandate." Bank of America's CEO, Kenneth Lewis, said on Tuesday that he would support a bailout for the U.S. auto industry if the American public backs it, but added that not all of Detroit's Big Three should survive. "The first thing would be that they (the U.S. automakers) acknowledge that there is one too many auto companies and that consolidation needs to take place," Lewis said in comments made to reporters at a Detroit Economic Club event. "I'm just trying to make sure the (U.S. auto) industry survives," he added, but stressed that any bailout package must be based on viability and sustainability to make the three U.S. automakers competitive against their German and Asian rivals. Top executives from General Motors, Ford and Chrysler -- which is owned by private equity firm Cerberus Capital Management -- were in Washington on Tuesday to plead their cases for an industry bailout at a Senate Banking Committee hearing. The three automakers have seen their sales plummet to levels not seen in a quarter of a century, as consumers have either shunned their once-popular gas-thirsty, sport-utility vehicles, trucks and minivans, or have found it impossible to obtain auto loans as the credit crisis has taken hold. GM and Chrysler in particular are bleeding cash and questions have been raised about their ability to survive without an infusion of government aid. In The Wall Street Journal on Monday there was an interesting article based on an interview with Treasury Secretary Henry Paulson. On a day when Atlanta's SunTrust Bank received its own $3.5 billion capital injection of capital from the TARP program along with 21 other financial institutions, it is important to remember that these injections are being and will be put to work over the coming months. There has been recent data showing an increase in loans being made by banks, and we will see how this trend continues. Treasury Secretary Henry Paulson is unlikely to use what remains of the $700 billion Wall Street rescue fund to launch substantial new programs, preferring to keep money in reserve for unforeseen emergencies and to preserve flexibility for the Obama administration. In an interview Monday, Mr. Paulson said the financial system is stabilizing, and he is thinking about how the remaining $410 billion could be best utilized, but that he doesn't plan to tap it unless a further need arises. "I'm going to do what we need to do to keep the system strong and to react the ways we need to react during the nine weeks I'm here, but I'm not going to be looking to start up new things unless they're necessary or it's just clear that they need to be done or [that they] make great sense," Mr. Paulson said. "I want to preserve the firepower, the flexibility we have now and those that come after us will have." Congress approved a $700 billion bailout in October after Mr. Paulson and Federal Reserve Chairman Ben Bernanke insisted a broad response was needed to prevent an economic meltdown. Mr. Paulson was allowed immediate access to $350 billion, with a second tranche available upon issuing a written notice to Congress. Lawmakers would have 15 days to deny such a request. Mr. Paulson's decision is a signal that the Bush administration is unlikely to heed demands by some in Congress that the rescue funds be used to help mitigate mounting home foreclosures. That has been a thorny issue, prompting clashes within the administration over the intent of the fund and the best way to help homeowners. Mr. Paulson has already ruled out using the money to assist U.S. auto makers. His decision also in effect hands the choice of how to spend the remaining $350 billion to the next White House. Obama advisers haven't said publicly how they might use the money. On Tuesday, Mr. Paulson could face a hostile reception from lawmakers when he testifies about the bailout, including Treasury's decision to forgo its initial plan to buy bad loans from banks and other entities, and instead inject capital directly into banks. Mr. Paulson plans to tell Congress that Treasury couldn't pursue its first option because after investing $250 billion in banks, it didn't have enough left to make a meaningful impact. "We recognized that a troubled-asset purchase program, to be effective, would require a massive commitment of TARP funds," Mr. Paulson plans to say, according to a draft of his prepared testimony, referring to the Troubled Asset Relief Program. Mr. Paulson defended that decision, saying Treasury's equity-purchase program has helped stabilize the financial sector and limited the potential for the future collapse of any big financial institution. "We've turned the corner in terms of stabilizing the system. There's no longer this worry out there that some systemic institution is going to fail." Still, Mr. Paulson acknowledges that dropping the asset-purchase plan will leave a key problem unresolved: "These institutions are still clogged with these assets. They're going to need to write them down, sell them over time, take losses," he said. Mr. Paulson added that he is working with the Fed to develop a lending facility that would encourage investors to buy some of these assets. If Mr. Paulson doesn't request the second TARP installment, he could avoid some political backlash from Congress. In addition to criticizing the Treasury's switch of plans, lawmakers might seek to add new conditions to the funds, such as requiring that participating companies make more loans or refrain from using the money for dividends or acquisitions. The Treasury's use of the $700 billion has shifted since Mr. Paulson won broad authority on how to deploy it. But many lawmakers still expect him to do more to help homeowners in danger of foreclosure. Treasury initially planned to use leverage it would earn from buying residential loans and mortgage-backed securities to encourage lenders to help troubled homeowners. But having dropped that approach, there is no alternative for aiding homeowners through the TARP. Last week, Democratic Rep. Barney Frank said he expects Treasury to use some of its $700 billion to reduce foreclosures. Mr. Paulson seemed to rule out embarking on any large-scale foreclosure-mitigation program through the rescue fund, though. He argues that the TARP money is meant to be invested, and that most foreclosure programs would require a direct expenditure of taxpayer dollars that won't likely be paid back. Instead, the Bush administration is likely to focus on programs already in place, including a plan to have mortgage giants Fannie Mae and Freddie Mac, which are under government control, help halt preventable foreclosures. The voluntary plan, which officials hope will be adapted by other mortgage holders, would enable certain borrowers to receive loans that would make their mortgage payments at most 38% of their monthly income. Pressure has been building within the administration to do something broad to attack the foreclosure problem. Federal Deposit Insurance Corp. Chairman Sheila Bair, a Bush appointee, has criticized policy makers for not doing enough to help homeowners. Ms. Bair has been pushing a plan within the administration to use some of the $700 billion to have the government share in the loss of any modified loan that falls into default. But many within the Bush administration are opposed, arguing that her plan provides an incentive for banks to foreclose on homeowners and gives a windfall to investors who own the securities backing the loans. In the interview, Mr. Paulson said Treasury has "spent a lot of time on the FDIC program" and is "working to see if we can come up with something that works." "Foreclosures are a significant problem, they're an economic problem," Mr. Paulson said. But finding a solution is complicated, he said, because "the issues then become, 'How effective are the individual programs going to be, where did the money go, is it going to banks or is it going to homeowners, and what's the cost-benefit analysis?'" The Treasury developed an alternative to the FDIC's plan that would encourage banks to lower interest rates on certain loans by having the government finance part of the modification through TARP, according to people familiar with the effort. However, Mr. Paulson rejected the proposal because it would be an expense rather than an investment. Separately, the Treasury on Friday provided $33.56 billion of capital to 21 domestic financial institutions, bringing the total number of companies getting a cash infusion to 30 (SunTrust's $3.5 billion included), the agency said in a report yesterday. World leaders pledged rapid action on Saturday to rescue a weakening global economy from the worst financial crisis in over 70 years and agreed to give emerging nations more say in running financial affairs. The Group of 20 leaders from major industrialized and developing countries set out plans to toughen oversight for major global banks, study limits on banker pay and try for a breakthrough by year end in global trade talks -- all part of a roadmap to rebuild a financial system crippled by the credit crisis. "We must lay the foundation for reform to help ensure that a global crisis such as this one does not happen again," they said in a statement after their first-ever summit. They vowed to make progress before a second summit by the end of April. U.S. President George W. Bush called the meeting, probably his last major economic event before he steps down in January, a success, saying leaders agreed to free-market, pro-growth policies. "It makes sense to come out of here with a firm action plan, which we have. And it also makes sense to say to people that there is more work to be done," he said. The G20 also called for fiscal stimulus measures, be they tax cuts or government spending, to take "rapid effect," and urged more interest rate cuts. But they fell short of announcing any new measures or major regulatory breakthroughs, and left it up to individual countries over what actions to take. G20 support though could bolster efforts in the U.S. Congress to push through a second economic stimulus plan, which is opposed by Bush and backed by his successor, President-Elect Barack Obama. Britain, also heading fast into recession, may unveil tax cuts this month. G20 warnings on the dangers of inaction were stark. "Economic momentum is slowing substantially in major economies," it said. Emerging countries are starting to get sucked into the maelstrom, as shown by Pakistan getting a $7.6 billion loan from the International Monetary Fund that same day. "It is the worst crisis in 100 years," Japan Prime Minister Taro Aso. "But the crisis could be a chance at the same time. History tells us that when we overcome crisis, a new order is created. We should not be just flustered by the crisis." In what portends a major shift in the global balance of economic power, the G20 agreed to a place for emerging market economies on the Financial Stability Forum, where top bank regulators evaluate banking and market risk. The FSF also won a bigger role in setting global financial policies and standards, which national regulators then would follow. In the medium term, the G20 also opened the door to the big prize -- more seats for developing countries at the IMF and World Bank. The West is relying increasingly on their money to bail out banks and countries. British Prime Minister Gordon Brown has lobbied export colossus China and oil-rich Saudi Arabia for help and had led the call for overhauling the 60-year-old Bretton Woods order that set up the IMF and World Bank. Saudi Finance Minister Ibrahim al-Assaf told Reuters, however, the rich oil-producing kingdom had no plans to offer more money to the IMF. "There were lots of rumors that we were coming here to pay the bill; there is no such thing," he said. Japan said it hopes China will throw money into the coffers of the IMF which acts as the world's financial policeman but until now has been dominated by the United States and the other members of the Group of Seven rich nations. The leaders set their finance ministers an aggressive work schedule -- a review of global accounting standards, colleges of supervisors for major global banks, new standards for credit rating agencies and ways to limit bankers' pay by tying it to a company's risk profile. But much of the list already is being worked on. Hedge funds and private equity firms got an apparent exemption from tough new controls, with the G20 saying they should use voluntary best practices though at a faster pace. Advisers designated by President-elect Obama to meet with dignitaries on the sidelines of the G20 summit said he supports a coordinated response to the global financial crisis and is ready to work with member countries on improving the financial system when he takes office. "The president-elect believes that the G20 summit of leaders from the world's largest economies is an important opportunity to seek a coordinated response to the global financial crisis," former Secretary of State Madeleine Albright and former Congressman Jim Leach said in a statement. Saturday's Barron's cover story was an open letter to President-Elect Barack Obama by Jim McTague. The article offers eight steps they give to Obama, and while not all are exactly what we would recommend, they are an interesting perspective to be contemplated. The main point though is to start now. There may be only "one President at a time," but now is the time to get things moving. Our open letter to Barack Obama outlines eight steps he should take to restore order to financial markets and bolster the economy. ROLL UP YOUR SLEEVES, MR. PRESIDENT-ELECT. America's financial crisis has become so dire that you must act now, not after the swearing-in ceremony on Jan. 20. Don't worry; there still will be plenty of restoration work remaining after the inaugural bash. But starting this week, you have to make sure that House Speaker Nancy Pelosi and Senate Majority Leader Harry Reid and the lame-duck Congress get it right, lest they roil the already panicky markets and make things worse. On the following pages, you will find the recommendations of Barron's editors -- eight steps, starting with the most urgent. Some of the recommendations are sweeping, while others are tightly focused. All eight, however, are necessary to bolster the confidence of consumers and businesses, get the economy back on its feet and restore order to financial markets. No offense, but your relationship with markets could use some improvement. Since Sept. 24, when you opened up a nine-point lead in the race, the Dow has fallen 19%. Don't let it fall further. You must show the markets that you understand the problems and are taking action. Here's how. Last week, the chances for an immediate stimulus package seemed to fade on Capitol Hill. You must push hard for action, because the fourth quarter is shaping up as a ghastly one for the economy. Support a $100 billion stimulus now, and be ready to advocate another, similar-size package soon after you take office. Pay the money to people right away -- as was done in the $168 billion stimulus package earlier this year. The mere knowledge that it's coming could prompt consumers to step up their spending for the holiday season. True, the last stimulus effort didn't set off a gale of economic activity. Many folks used their $600 checks to pay down debt or bolster their savings accounts. But moves like that increase confidence and strengthen the financial system. Any boost to spending will help. Keep a close eye on the stressed budgets of cities and states. The stimulus package for early '09 should include as much as $50 billion in direct grants to cities and states so that they don't have to cancel projects, lay off workers, and raise taxes. It does no good for the federal government to hand a taxpayer some extra money if state tax collectors are going to immediately take it away. Also, consider allotting $50 billion for infrastructure projects. Offer an aid package to GM and Ford -- $25 billion for each in the form of special preferred stock that would pay the government a dividend. Though the idea of a bailout is languishing on Capitol Hill, and it can be argued that bankruptcy proceedings would help them restructure, we feel that a bailout is essential. These two companies are vital parts of America's industrial base. You cannot let one or both of them collapse, particularly in today's sagging economy. Chrysler, on the other hand, lacks the brand and world stature to compete in the future. You should encourage it to merge with GM or Ford, or perhaps with a foreign maker. Alternatively, Chrysler could sell its valuable business lines -- the Jeep and minivan units -- and toss the rest on the scrap heap. In shaping deals, be sure to wring significant concessions from management, labor and shareholders, including Cerberus, the private-equity firm that controls Chrysler and General Motors Acceptance Corp. The managers of the car companies who have brought them to this precipice should be forced to take big pay cuts and potential severance, or perhaps shown the door. At the same time, existing and retired workers and their unions must accept plant closings and reductions in benefits and pay. Deals like this should be far more palatable for the workers than bankruptcy proceedings, where workers' pensions could be reduced significantly and retirees' health benefits eliminated. Of course, if you deliver on your campaign promise for universal health care, then this concession by retirees will be moot. But you may not be able to pursue your health-care agenda for some time. The avalanche of foreclosures must be stemmed, pure and simple. The central problem for the economy is the housing crisis, and the central problem for housing is foreclosures. Most of the solutions proposed so far are half-measures, such as tinkering with interest rates or extending loan maturities. Barron's believes the government should kick in $100 billion to reduce the principal on mortgages in serious arrears as of Dec. 1, drawing on the $700 billion financial bailout approved by Congress. Participating banks, mortgage servicers and holders of mortgage securities should contribute another $50 billion. The program would reduce a borrower's mortgage to the level of the home's current value, which might amount to a cut of 20% to 30%. In return, the government would be entitled to an agreed-upon portion of any price appreciation realized when the home is sold. In other words, neither the homeowner nor the mortgage lender would get a free ride. Yet both would be better off than with foreclosure -- and so would the economy. Homeowners who have managed to keep up with their mortgage payments could well feel cheated by this plan. Our advice: Get over it. The state of the economy requires bold action, and everyone will be better off once the foreclosure problem is curbed. The Federal Deposit Insurance Corp. last week put forth a creative plan that also merits consideration. Among other things, it would offer guarantees to investors in securities backed by mortgage securities. But our proposal is simpler and more direct, and its cost to taxpayer may not be much more than the FDIC's. While the banking agency puts the cost of its plan at $24.4 billion, the Bush administration's Office of Management and Budget figures it could reach as high as $72 billion. Make it clear that you will delay any tax increases for at least a year. You can raise them on high-income earners, as you have planned, when the economy is growing again and creating wealth and jobs. But you don't want to take spending money away from anybody when we are in a downward, recessionary spiral. That will only make things worse. Taxes were hiked during the Great Depression, prolonging the misery. By all means, give the middle class the tax cut you promised. But, as much as it pains us to say it, don't try to pay for it until later. There are serious problems with raising taxes on the wealthy. These folks tend to plow a lot of their money into family businesses and publicly traded stocks, helping create jobs. That activity can slow when Uncle Sam increases his take from the rich, studies have found. And that's to say nothing of fewer shopping trips to Neiman Marcus. If, in the opening months of your administration, you feel compelled to raise taxes, raise them on gasoline. That would give us all more incentive to buy fuel-efficient cars and trucks. Eventually, of course, the country will have to pay its debts. It is to be hoped that, when you do finally raise taxes, you will employ a simpler, more economically rational, and more equitable system than the one now in place. Rightly or wrongly, the markets worry that you don't appreciate the lesson of Smoot-Hawley Tariff Act, signed into law in June 1930 by President Herbert Hoover over the objection of leading economists. Smoot-Hawley's high tariffs exacerbated the Depression because it provoked retaliation by foreign governments. According to the Department of State, U.S. imports from Europe tumbled from a high of $1.3 billion in 1929 to $390 million in 1932 while U.S. exports to Europe fell from $2.3 billion to $784 million during the same period. These "beggar-thy-neighbor" polices reduced world trade by 66%. Let's not go through that again. While on the campaign trail, you called for new negotiations on NAFTA, the North American Free Trade Agreement that was signed into law in 1993 by President Bill Clinton -- ostensibly to make it more equitable. Yet there is little evidence that the U.S. has suffered as a result of this pact. Quite the contrary, the evidence points to significant gains by labor, farmers, and industry. The agreement between the U.S., Canada, and Mexico was inspired by the European Union's reduction in trade barriers between its members. NAFTA created the largest, most successful free-trade zone in the world. From 1993 through 2006, U.S. exports to NAFTA partners increased by 157%, far ahead of our 108% growth in exports to the rest of the world. Last year, U.S. exports to NAFTA partners accounted for a full 35% of total U.S. exports. The trade growth contributed to an era of general prosperity. From 1994 through 2006, the average unemployment rate in the U.S. was 5.1%, down from 7.1% for the previous 12 years. At the same time, U.S. manufacturing output rose by 63% in the 12 years since NAFTA, as against 37% in the previous 12 years. At some point, you should consider a thorough overhaul of America's patchwork of financial regulatory agencies, with the aim of simplification and accountability. But right now, you need to focus your attention on two specific areas. First, deal with credit-default swaps. The CDS market, where participants in effect trade the credit risk of corporate bonds, averted a near-fatal meteor strike in mid-September when, within two days, major swaps dealer Lehman Brothers filed for bankruptcy and the largest seller of credit default swaps, insurer AIG, was unable to satisfy its margin obligations on billions of dollars worth of CDS losses. Only a government bailout of AIG saved the day. You should order the SEC to crack down on abuses by speculators in this important market. Short-sellers of stocks appear to have been manipulating the CDS market to drive down stocks. This must be stopped immediately, and is easy to do. Also, you need to show strong support for an effort now underway among regulators to establish a central clearinghouse for credit-default swaps. Last week, regulators said that at least one will be up and running by year end. This effort must proceed and be expanded. It could go a long way to letting buyers of the swaps be sure that the sellers, or insurers, have the money to settle any claims in the event of a major credit default. That would eliminate much of the "counterparty" risk that exists today. Likewise, the CDS market's opacity must be replaced by real-time reporting of transaction prices, position sizes and collateral adequacy. This market should never again place the American financial system in peril. Short-selling of stocks also requires some attention. While the shorts, who bet on stocks declining, play a useful role in the market -- often digging up unflattering information that investors need to know -- the practice can be abused and exacerbate big market declines. First, the SEC should require exchanges to say which trades are short sales, on a tick-by-tick basis. Next, the agency itself should release data on trade settlement failures more frequently than just once a quarter. That would spotlight stocks where "naked" short-sellers, who sell shares even before borrowing them, fail to deliver on their trades. And short- interest levels in stocks should be disclosed more frequently than just once a month. Finally, the agency should insist that Form 13F filings by hedge funds disclose short positions as well as long positions. Georgetown University finance professor James Angel offers a modest suggestion for a circuit breaker in times of panic selling. When a stock price falls 5% below the previous day's close, traders would have to prove they've borrowed shares before making a short sale. The requirement would prevent naked short-sellers from piling on to a collapsing stock. It's fine to press for more fuel-efficient cars in the long run, but right now, you should follow a suggestion made by our colleague Holman Jenkins of the Wall Street Journal: Have Congress repeal the two-fleet rule, a protectionist measure that discourages American companies from importing fuel-efficient cars manufactured in its plants overseas, like the Ford Ka, a very popular European mini-car made in Poland. That way the Big Three would have, after minimal tinkering to make the vehicles match U.S. safety and emissions standards, a superb, fuel-efficient lineup for U.S. consumers while retooling to provide us with alternative-fuel vehicles. The rule, which dates back to the 1973 Arab oil embargo, requires car manufacturers to produce a fleet of cars that on average meets a specific fuel-efficiency standard called the Corporate Average Fuel Economy, or CAFE standard. For instance, the Chevrolet Cobalt gets over 30 miles per gallon on the highway and the Cadillac SRX with four-wheel-drive gets around 20 miles per gallon, with other makes and models of GM cars generally somewhere in between. But the entire fleet meets the 27.5 mpg goal. Right now, a U.S. car maker can't import a small car from one of its plants in Eastern Europe, where labor costs are low, sell it here, and have it count toward the CAFE goal. The original idea was to force the Big Three to build lots of small cars here. But as recent events have shown, this bit of union-endorsed centralized planning didn't work. We could lower our demand for foreign oil sooner by lifting the protectionist measure. Prove you are not beholden to special interests by promising to veto any "card-check" plans favored by the labor unions. Mr. President-elect, if you want stock markets to rebound, follow our advice and make this clear to investors as soon as possible. You should echo the sentiments of former Democratic presidential contender George McGovern, who in an Aug. 8 op-ed piece in the Wall Street Journal said, "The legislation is called the Employee Free Choice Act, and I am sad to say it runs counter to ideals that were once at the core of the labor movement. Instead of providing a voice for the unheard, EFCA risks silencing those who would speak." The key provision of such legislation would change the way unions are organized. Instead of secret ballots, union organizers would merely need to gather signatures on cards from more than 50% of workers in the workplace. This system invites enormous abuses. As McGovern pointed out: "There are many documented cases where workers have been pressured, harassed, tricked and intimidated into signing cards that have led to mandatory payment of dues." The secret ballot allows a worker to vote his conscience and not be cajoled and intimidated by a bullying mob or persecuted for standing alone on an issue. The card-check proposal would breed tyranny and lead to higher labor costs, dramatically slowing the formation of new business in America. Like it or not, we are competing in a global economy, not a closed one, and America would be less competitive. You co-sponsored card-check legislation as a senator. You promised unions while on the campaign trail that you would sign such legislation into law. You have more responsibility now and should be considerably more circumspect. This proposal is a job-killer, not a job creator. It is designed to fatten union coffers, not encourage innovation and investment. You were elected by secret ballot, why can't unions face elections the same way? TARP - Bait and Switch? Some of you may know that when I was a freshman in college, I played on the University of Tennessee’s basketball team. The year was 1967 and coming from rural Tennessee, I had never before had an opportunity to play in front of more than the 400 people that could fit into the cracker-box gym at my high school. The first significant freshman game that I played as a Tennessee Volunteer was against Vanderbilt University at Adelphia Coliseum. Our game was just prior to the nationally televised varsity game, which started at 3:00 p.m. In all the other junior varsity games I had played, the janitors were still getting the auditorium ready for the varsity game when we were on the court, but this particular game was different. In 1967, the University of Tennessee was intensely hated by Vanderbilt University. In fact, since the Vols had gone to the Orange Bowl the previous year, it wasn’t unusual for Vanderbilt students to throw oranges from the upper balcony onto the court, causing them to explode with great force. Additionally, Adelphia Coliseum was unique in that the first three rows were actually situated below court level. For this reason, the players’ benches were placed on the ends of the court rather than on the sides. The game became really intense sometime during the second half, making all of us somewhat fatigued from running up and down the court. At one point, we were on the far end of the court from our bench. I went up for a rebound, got hit by a player’s elbow, and knew immediately that I was injured. I reached for my mouth, and my hand was promptly covered in blood, leaving me to wonder if I had any teeth or not. By that time, all of the players had made their way to the other side of the court, leaving me by myself in the middle of the court with blood streaming down my face and onto my uniform. The hit left me dazed and disoriented, until I finally realized that the bench was on the far end of the court and started making my way to it. As I walked towards it with blood soaking my big orange jersey, I was greeted in a most interesting manner from the fans. Almost in unison, 15,000 people jumped to their feet and gave a roaring standing ovation. I was struck by the good sportsmanship exhibited by the fans at that moment, but once I reached the bench, I realized they weren’t cheering for me but for the player that had elbowed me. Regardless, I must admit that it was the only standing ovation I’ve ever received – directly or indirectly – by 15,000 people. This memory came flooding back to me when watching the news outlets discuss Treasury Secretary Hank Paulson’s announced changes to the $700 billion financial plan to more consumer assistance rather than bank assistance. It seemed that the entire world responded with a standing disapproval of jeers and sneers. As I write this post, the stock market is actually about flat for this week. I know it feels worse than that due to the incredible volatility we have witnessed, but even with the first three down days of the week, Thursday’s significant gains left us with flat performance for the week. If you’re like me, then your head is likely spinning from trying to keep up with the extreme volatility in the market as of late. I decided when I went home on Wednesday night that I would perform as much research as possible regarding the TARP to determine whether this program has worked to our benefit or our detriment. There is an enormous amount of information available on the Internet on the subject, but most of it is extraordinarily biased. It’s nearly impossible to watch the news without hearing the commentators criticize the TARP, and likewise, it’s nearly impossible to find any pundits who are satisfied with what has taken place thus far. However, it’s important to keep in mind that virtually all of these analysts are biased in some way or another as it pertains to how the money from the TARP should be used. My only bias is that I want the economy to improve. In order to understand how that is possible, I wanted to find out exactly how the TARP will be used to improve the economy. Treasury Secretary Paulson was on Bloomberg on Wednesday night, and for about two hours he discussed the progress of the financial plan and his goals for the TARP. Paulson is a brilliant man, and the fact that he is donating his time to deal with this political nightmare in Washington shows that he is a true patriot in every respect of the term. It should not be forgotten that two years ago, Henry Paulson was the highest paid executive on Wall Street, making in excess of $50 million in compensation alone (although many have said that he made closer to $1 billion in his final year as chairman of Goldman Sachs). For a man of this stature and intellect to go to Washington and take the grief and incredibly uninformed triviality of Representative Barney Frank and Senator Christopher Dodd reflects that he did it as an act of patriotism. I can honestly think of no other reason for him to do it considering what he’s being put through. I want to give you some information that isn’t being provided by the media: THE TARP IS WORKING AND THE ECONOMY IS ALREADY GETTING BETTER. You may be wondering how I could make such a statement when it seems that everyone else is so negative on the TARP. My statement isn’t based on public opinion, but rather, on actual facts. The evidence is overwhelming that the TARP is working and those who argue otherwise are clearly uninformed. The program was designed to purchase troubled assets from the banks. All of us originally wondered how that was going to work given the incredible complexity of purchasing the individual assets from public companies. While it would have benefited the original banks from which the assets were purchased, the effect would only be a benefit of $1 for every $1 of assets purchased. The multiplier effect simply would not have accomplished the goals as quickly as we need them to happen. It was quickly realized that the original plan needed to be revised to give the greatest bang for the buck. By virtue of purchasing preferred stock in the banks, they were basically able to receive a positive benefit of 10 to one. Since banks can loan about 10 times their equity, rather than $250 billion of money being injected into the economy, they have injected $2.5 trillion with the leveraged effect of the banks. As of Friday morning, $290 billion of the original money is committed. Approximately $180 billion of that $290 billion has already been funded. The remaining $60 billion on the first appropriation will probably not be used, except in emergency cases. Given that only approximately one-half of the original $350 billion has now been funded, and that is for only three weeks, the positive benefits are already being reflected in the economy. Four major banks that received some of this money have already announced major mortgage refinancing programs. Bank of America, JP Morgan Chase, CitiBank and Wells Fargo have announced that they will be refinancing mortgages for consumers and taking losses up to $100 billion. These plans are already in motion and helping the public. Under no circumstances could the government have moved this quickly to benefit the consumers. In fact, Fannie Mae and Freddie Mac announced an inept plan to help refinance mortgages, but it has not been agreed upon or implemented. The private sector was the answer to this issue, and the TARP has been a success thus far. As I have mentioned in prior posts, the three-month Libor has dropped by over 50% in a period of only three weeks. For the first time in months, major investment-grade debt is being issued at reasonable prices. Bonds issued during October have climbed as much as 10% in one month, reflecting the improved environment for debt. The Federal Reserve, jointly with the Department of Treasury, has issued over $2 trillion in commercial paper instruments for major corporations. The actions by the Federal Reserve have freed-up the commercial debt market to allow for corporations to fund their short-term debt. Interest rates have fallen dramatically on this commercial paper, making the corporations more profitable and therefore, able to provide jobs for their employees. The commercial paper market has freed-up and is now working to the benefit of American corporations, and all of this is as a result of the TARP. Also on Thursday, The Wall Street Journal printed a forecast by well-known economists, a majority of whom indicated that the U.S. is now in the midst of the worst part of a recession - Economists See No Growth Until 2nd Half of 2009. The overwhelming consensus was that economic growth would probably return by the second half of 2009. Even more interesting is that two-thirds of these economists indicated that the TARP was helping the economy and that the actions by the Department of Treasury had done much to free-up the debt markets for the use of corporations and stabilize the financial markets which were previously frozen. On Wednesday, Treasury Secretary Paulson announced a major change in the direction of the TARP. There was an enormous negative outcry by the public, the journalists, and of course, the stock market. This is a complicated matter, and I believe that people are reacting before they really look into the positives associated with the changes Paulson is making to the TARP. There were scathing comments being made in the news regarding Paulson’s proposed changes, and in fact, I saw many references to a supposed “bait and switch.” I have heard an inordinate number of uninformed Congressmen express the same opinion. However, none of us should sell Treasury Secretary Paulson short. Paulson’s proposal mentioned on Thursday was even more intriguing to me. He indicated that for the second half of the TARP, the money would be used to fund loans for automobile purchases, student loans and credit card receivables. The public, the press and the financial networks missed the entire point: THE FIRST HALF OF THE TARP WAS FOR WALL STREET, AND THE SECOND HALF OF THE TARP IS FOR MAIN STREET! By furnishing funding for consumer-type receivables, the Treasury will free-up the lack of credit extension to consumers. Who could argue that making more college loans available to kids is not beneficial? Who could argue that the extension of credit on credit cards is not beneficial to consumers who are literally frozen from fright? Certainly, we all need to be able to secure a loan to purchase a vehicle. Both of these actions were brilliantly conceived and planned. It is highly unlikely that Treasury Secretary Paulson will be working for the government when the second half of the TARP is approved, but I can only hope that whoever is put in charge avoids political influence and does what’s right for the economy, as Paulson has done. Those who argue that Paulson did a “bait and switch” with the U.S. economy are clearly as uninformed as the Congressmen who are also making that assertion. Many of my clients have expressed outrage regarding the proposed bail-out of the Detroit auto industry. Let’s not forget that the automobile industry in the United States is incredibly successful, but unfortunately, none of the successful companies have plants in Michigan. Secretary Treasurer Paulson and President Bush have acknowledged that the original TARP was not designed for the auto industry and should not be used for such. Having read the bill myself, I concur. If Congress wants to provide assistance to Michigan’s auto industry, then they should do so by separate legislation. I am a diehard capitalist, but I do recognize that if Detroit’s auto industry is forced into bankruptcy, it would be seriously detrimental to the economy as a whole over the short-term. For the long-term, it would be fine and the economy would adapt, but over the short-term it would be devastating. The answer to this issue is short-term loans until Detroit’s auto industry turns profitable again. Then, they can compete with Toyota, Honda, BMW and Mercedes, and if they’re unable to compete on a fair and equal playing field, then they should cease to exist. I find it incredibly interesting that the majority party, which will control all departments of government, is pushing an outrageous bill that supports the very unions that helped them get elected. Make no mistake; the reason that GM, Ford and Chrysler cannot compete with the other car companies manufacturing in the United States is because of the work restrictions the unions place upon those companies. Due to outdated work rules, excessive pay and extraordinary benefits, these car companies no longer have any ability to compete with the non-unionized car companies located in the South that don’t carry the legacy costs of the Michigan companies. Congress now wants to force these companies to be unionized and make them as inefficient and incompetent as the ones in Detroit. I suppose the theory is that since Detroit cannot compete due to the unions’ control of their labor, we will just the force the other non-union companies to be as inefficient and incompetent so Detroit can compete. Obviously, the end result is that we will have overpriced cars that will not be as well-made or as inexpensive as we have today. Again, the economy is on the mend. You may not hear that on TV or read it in your local paper, but it is definitely happening. If you spend time reviewing the facts, clearly the economy is improving and things are getting better. I urge those who are criticizing Treasury Secretary Paulson to take the time to review the data. "Obama's challenge: fix economy, save world"